The Mr and I have been to Alton Towers a number of times over the years as we are a pair of thrill seekers and love the adrenalin rush from the large roller coasters there. We were really excited however to be invited for a weekend break, along with the Mini Mes, to check out the Enchanted Village Woodland Lodges and Splash Landings Water Park along with the family friendly rides the Staffordshire theme park has to offer. Upon checking in at the reception we received all of our VIP passes for the duration of our stay and we were able to view the menus electronically for the various restaurants and make our meal reservations there and then. This enabled us to drop off our bags and explore immediately without worrying about our dinner and breakfast bookings later on - such a great idea as not a second of our escape was wasted. Our lodge was magical. Set in quiet and relaxing surroundings it felt like a hobbit home from Lord of the Rings! 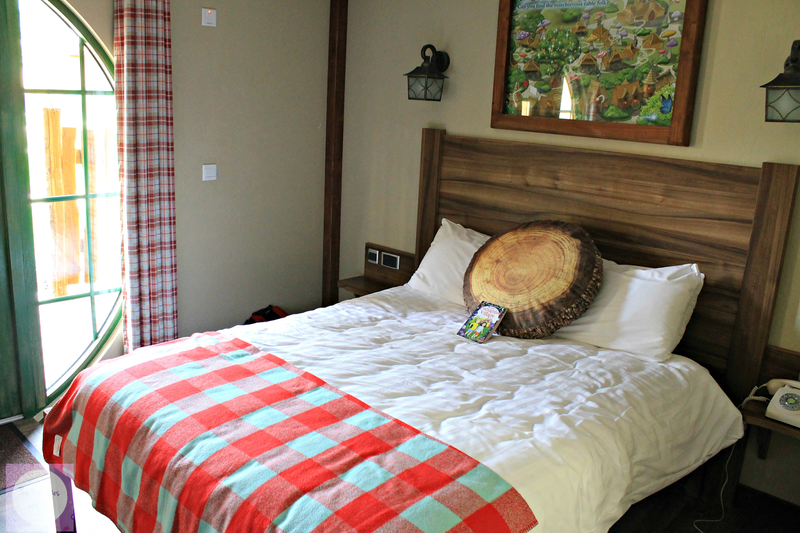 You enter into the main bedroom with king size bed and there is a separate bath and shower room and another bedroom with bunk beds and truckle bed. We popped the kettle on and had a few biscuits while taking a peek at the park maps to decide what we wanted to see and do first. The Mini Mes were impressed to discover their own little toiletries had been left out for them along with the fairy light between our room and theirs. 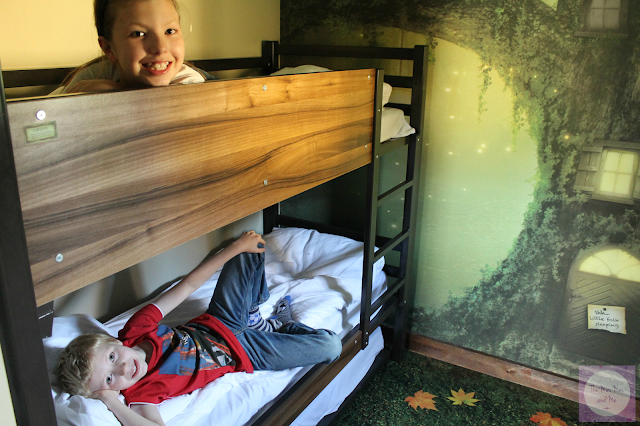 Their room was also beautifully decorated with a lovely fairytale feel. 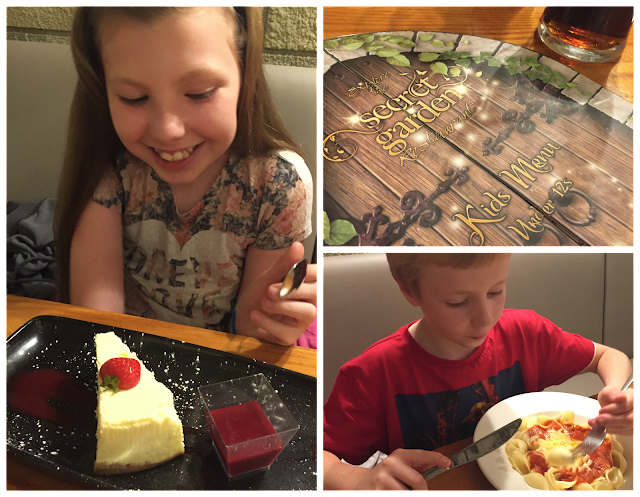 We choose the Secret Garden for our dinner and we were all pleasantly surprised, not only by the look of the restaurant but by the quality of the food too. The large tree in the centre with twinkling lights sets the scene and there are blossoming branches twisted around the entire room. 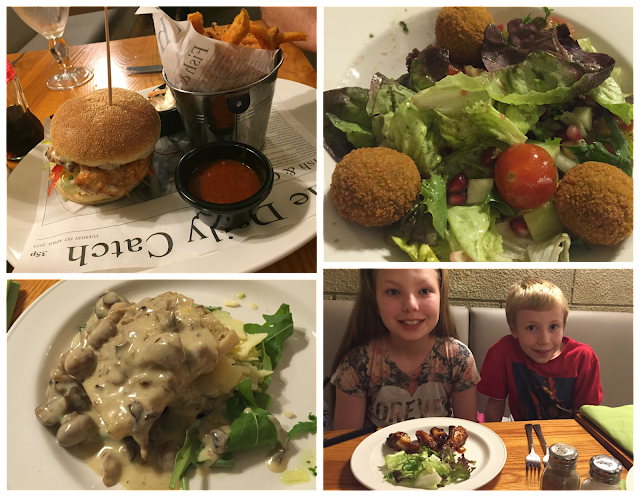 It had such a warm and welcoming atmosphere and the menu had lots of variety to suit everyone with vegetarian and healthy options available. I took the opportunity to really indulge and I had a selection of breads with oil and balsamic dips to share, spinach and mozzarella risotto balls, a pulled pork burger with Jack Daniels glaze, cheddar cheese and chips followed by chocolate brownie cheesecake. With neither of us needing to drive due to the luxury of staying on site, I was able to have a few cocktails and the Mr teamed his forest mushroom bruschetta and piri-piri chicken breast plus sweet potato fries with a beer (or two). Both of the Mini Mes love chicken wings so they were in their element! They had the BBQ version to start and then Minxy enjoyed a burger while Jamster had pasta shells served with tomato sauce. Despite being reasonably busy we didn't feel rushed at all. The food was very tasty indeed, yet not too expensive, and the service was great. After a great night's sleep (it was unbelievably peaceful) we got up quite early to get washed and prepared for the busy day ahead. We went to the Crooked Spoon for breakfast where there was a delicious buffet consisting of all the usual items to create a full English along with various cereals and drinks. We then caught the monorail to access the park an hour before it opens to the general public which we were all incredibly pleased by. This is certainly a highlight of staying on site as this enabled us to walk straight onto rides with no wait at all! We were even able to remain in the same seats for the Runaway Mine Train and go round three times in a row, a ride that the Mini Mes really enjoyed, and save our queue jumping VIP passes for when it was busier. I managed to convince the Mini Mes to go on Th13teen which was the perfect ride for adults and tweens to enjoy properly together. I could feel Jamster's heart racing through his chest but afterwards he said how amazing it was and how eager he was to have another go so we went on a few more times throughout the day. We went on Duel, a fantastic indoor ghost train style shooting game, the Congo River Rapids and we had great fun drenching everyone on the Battle Galleons by using the water guns. We were literally stood for 40 minutes squirting the boats and although we got wet ourselves we were all in fits of giggles. The Mr even had time to go on Oblivion and Air while we watched from below with our refillable drinks and hot dogs before going to Sharkbait Reef by Sea Life. The variety of fish, mesmerising lighting and interactive areas were superb and it was a full attraction within itself. It was great to find Nemo and walk through the tunnel with lots of sharks swimming above and around us and handle shrimp. 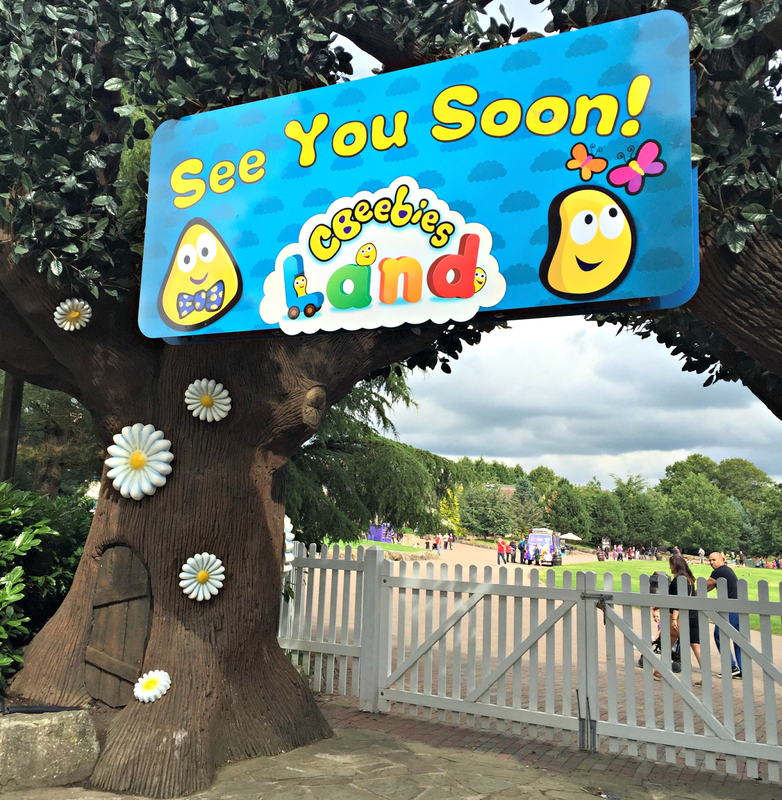 Lastly we went to CBeebies Land before heading to Splash Landings for an afternoon of swimming and water play. Aimed at pre-schoolers this is a superb zone for smaller children or the less adventurous. There is Postman Pat Parcel Post, In the Night Garden Boat Ride, Octonauts Roller Coaster and even a Something Special Sensory Garden to explore. With photo opportunities, meet and greets and a Tree Fu Tom Training Camp too there were smiles all round. The buggy parks and parent changing rooms are a really useful resource as are the bottle warming and highchairs in the Little Explorers Lunch Box area. Splash Landings is situated within the hotel of the same name and it is incredible. I'd viewed a few images beforehand online but nothing prepared me for how large the water park is. After changing in the cubicles and placing our belongings in the lockers we had a quick shower and headed inside. The Mini Mes stood in awe and didn't really know where to start! We used the rope bridges and nets to climb to the top of the Wacky Waterworks Tree House and had a go at some of the 70 interactive features along the way which included pouring buckets, canons and wheels much to everyone's amusement. The queue to the slides were very long so with over an hour wait we decided to give those a miss, although they looked really good with transparent parts, plenty of bumps, twists and turns. We spent some time outdoors in the heated Wubbly Bubbly pool and Volcano Springs, had a swim at Lagoona Bay and then spent the remaining time floating around on rings in the Lazy River to relax. You just need to watch out for the sneaky staff above that like to pour cold water onto you... the Mr was not expecting that one but we found it amusing. 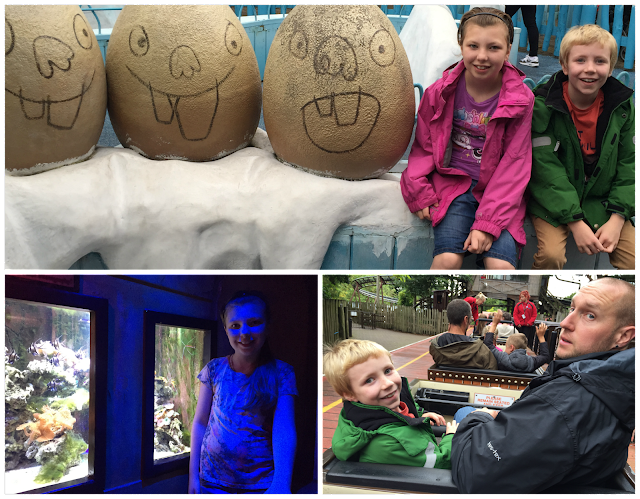 We had an amazing break at Alton Towers and I've spoken highly about our experience to lots of family and friends since returning home. I'd love to head back this year with rumours of a new attraction being launched along the extended family in tow. Have you stayed at Alton Towers before? Looks great! Never been but would love to take the kids! Sounds like u had such a fab time. We have never been before but would love to take Blake when he is older.I love the idea of staying the night as it would be longish jounry for us. Haven't been here in years. The accommodation looks lovely, must book myself a trip! The lodge looks fantastic. I've only ever been for the day but it was a family favourite. wow lots to do, thanks for the review. Wow, it sounds like you managed to fit so much in and the lodges look lovely! We went to Alton Towers in October half-term for the first time in years as my daughter had finally reach the magical 140! I like the Runaway Mine Train, but we just had to go on Nemesis, Oblivion, Air and Rita because my kids are such thrill-seekers! It looks like you all had a blast exploring everything that Alton Towers has to offer, I've never thought about staying at the attractions themselves to it's interesting to see what's on offer. It's great that they've got something for everyone with smaller friendlier rides as well as the serious thrill seeking ones, the kids look like they had a blast finding their favourites. Thanks for linking up with me on Country Kids. The forest mushroom bruschetta looks good! I love Alton Towers and rides, but haven't been since having N. I've only stayed once and that was for a hen party, we did the spa the first day and park the next which was great. I always thought Alton Towers was just rides, I had no idea you could do so much! My eldest would absolutely love this! I am glad you all had a fab time! I would love to take my girls and stay here, I'm not keen on rides but my husband loves them! Aww ace post! Alton towers looks like so much fun! I've never stayed there before - it looks like you had a great time! 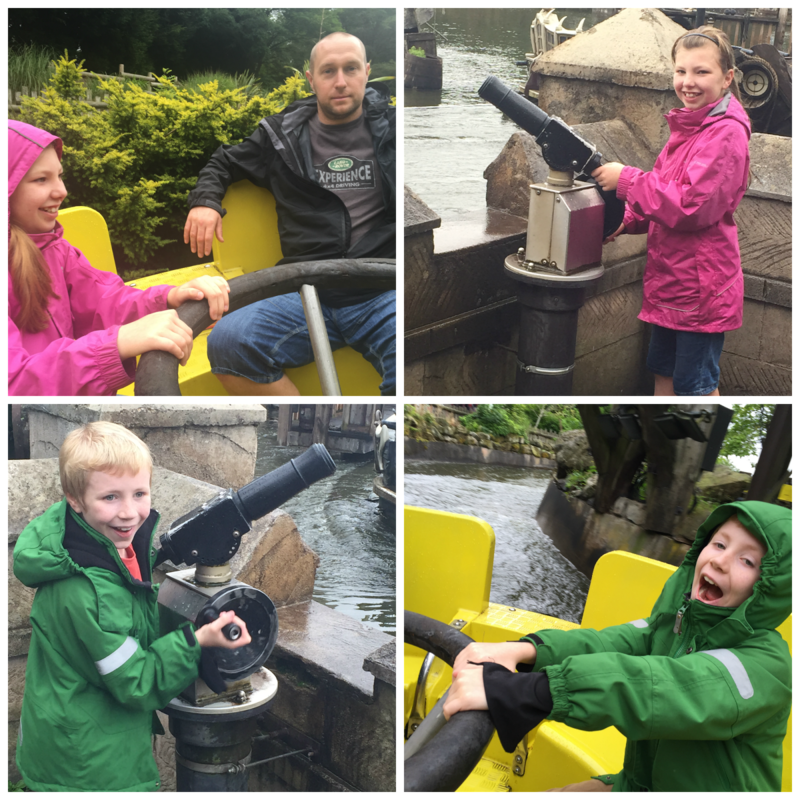 Alton Towers is definitely on our family's bucket list! We used to go on day trips there all the time but I haven't been for years. I have to admit that last years accident has put me off theme parks all together but for a short trip to the spa there or the water park would probably be nice. looks great but a breakdown of costs would have been helpful. I've never been to Alton Towers but I did go to Thorpe Park a couple of years ago. Unfortunately, I weighed 20st and a few pounds and didn't fit on the rides. It was so embarrasing! I'm looking forward to going back this year because I now weigh 11st. Looks like a great stay, loving the accommodation and the fact that you can pre-book your meals electronically, great! Alton Towers looks like a blast. I hope to find out for myself sometime. I love the lodge. I've not been to Alton Towers for years. those rooms look lovely and magical. just wish the prices were abit cheaper. I used to love theme park rides, especially roller coasters, but since that horrific accident last year I have been much less keen. I think the operators need to do more to reassure us that the causes of that accident have been fully addressed. I have never been to Alton towers or an amusement park.... eeven when I was a child! But it looks a little on the high end of price after doing some research. The lodge looks like a place for that of an adventure; I can only imagine the friendly and enjoyable persons that are lucky to stay! Looks like you had a fab time! Lovely post! Looks great! Never been but would love too! It is a theme park we are yet to visit! I don't think I could go on the rides though - as I have got older I have become more of a wimp! My kids are fearless though! I've never stayed there. It looks like it is really nice to stay there. I'm pleased to read how much you enjoyed it. Wow, looks like such a great trip! 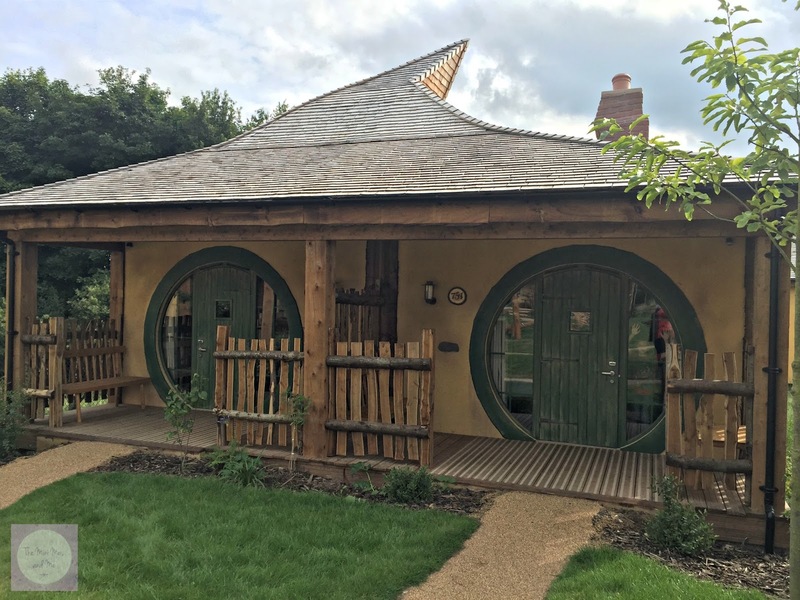 I love, love, love the little hobbit type house you stayed in. Like a fairytale! I would love to go to Alton Towers again, never stayed over though! How fab. We went once a long time ago so may be time to go again. Thanks. We stayed just over a year ago, the kids loved it, we all had a great time. Nope, but may do when kids are a bit older! I wasnt sure about Alton towers with three young kids but think I may be converted! Looks like a wonderful time. It's years since we went to Alton towers. Looks very tempting to go. But currently can't. We will try in future. I've never been, would love to go! i love alton towers, i'm a bit of a daredevil. Rollercoasters are the best. Aw my! Looks amazing! We are looking for a UK trip this year, has to be this! I've been to Alton Towers before, but not for many years! I love the idea of staying there! Will defo visit in the future after reading this blog!